While some projects defy logic (and sanity), there are some that blow them out of the water with no hope of turning back. 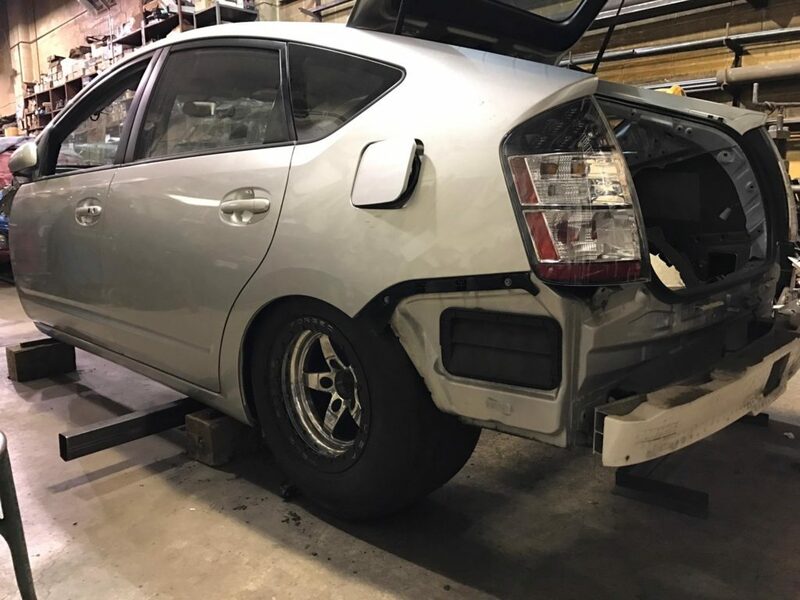 That includes builds that entail swapping in a Ferrari 458 engine into a Toyota 86, and, well, this -- a 1,000 horsepower Hellcat powerplant into a Toyota Prius, at least what's left of it. There's no point of trying to explain why, or how, so instead, we'll let you figure it out for yourself given a bit of background to the lunacy. The team at American Racing Headers has decided to undertake this swap, dubbing it the "PriuSRT8". And while it may look like a gas-sipping hybrid on the outside, it's a fully built, NHRA-approved tube chassis underneath. It would have to be to hold up to the power they're aiming for, and with a 6.2L V-8 paired to a 4.5L Whipple blower, there's no way standard Prius underpinnings could hope to keep up. Loads of boost are what makes that power output possible. Not only is it a challenge to get this behemoth settled into Toyota bodywork, but it's an even bigger test finding the running gear to withstand this much twist. 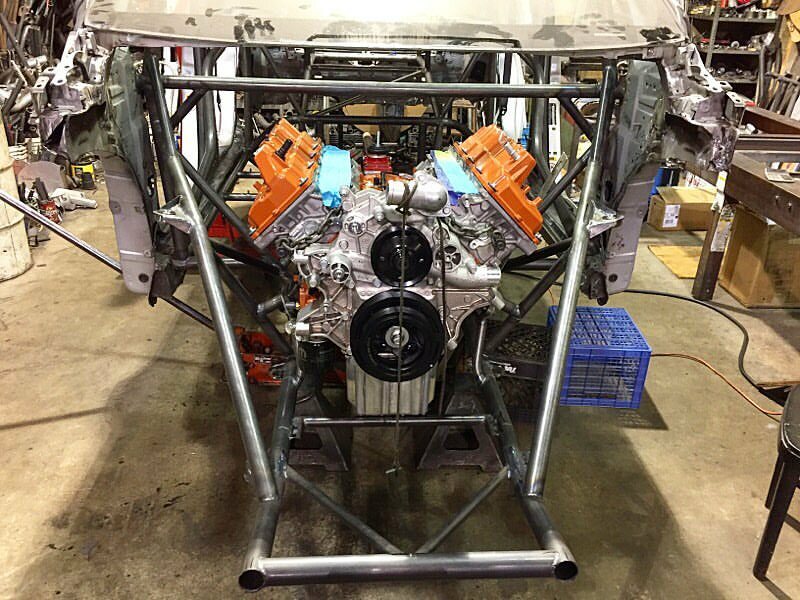 Power is sent to a Tremec Magnum six-speed transmission, then continues on to a custom-built Ford 9" rear end built by Midwest Chassis. That surely isn't the only bit of custom fabrication as there is extensive metal work throughout. The pictures included here show all of the fancy bits that ARH has welded in including the mandatory modifications like a heightened transmission tunnel, fully-built roll cage for series demands, and completely redesigned bracing in the front and rear. So instead of questioning what's going on in the heads of these builders, we'll just have to admire their courage instead. It's more than anything we'd hope to take on, and for that, we salute them. Follow the build on American Racing Header's Facebook page to get updates along the way!